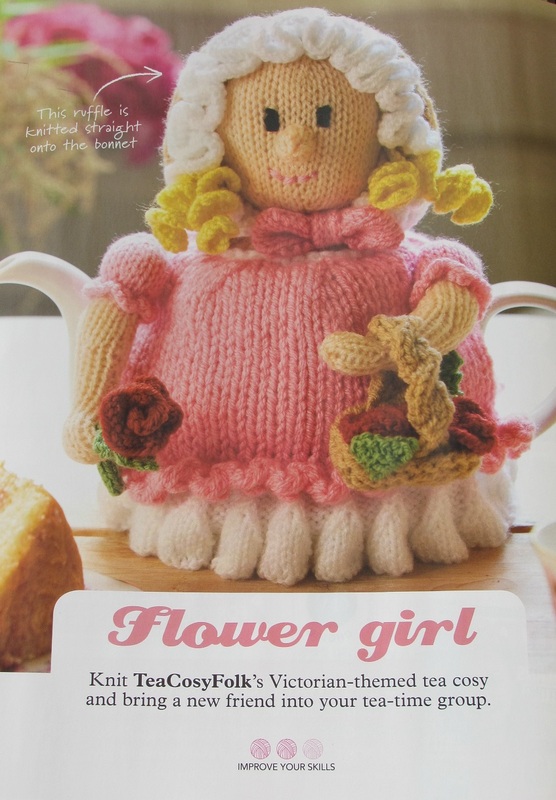 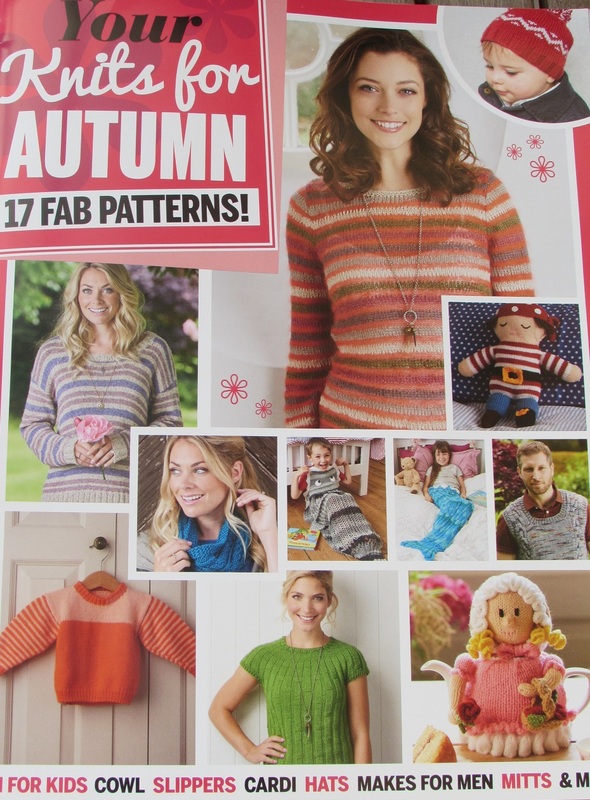 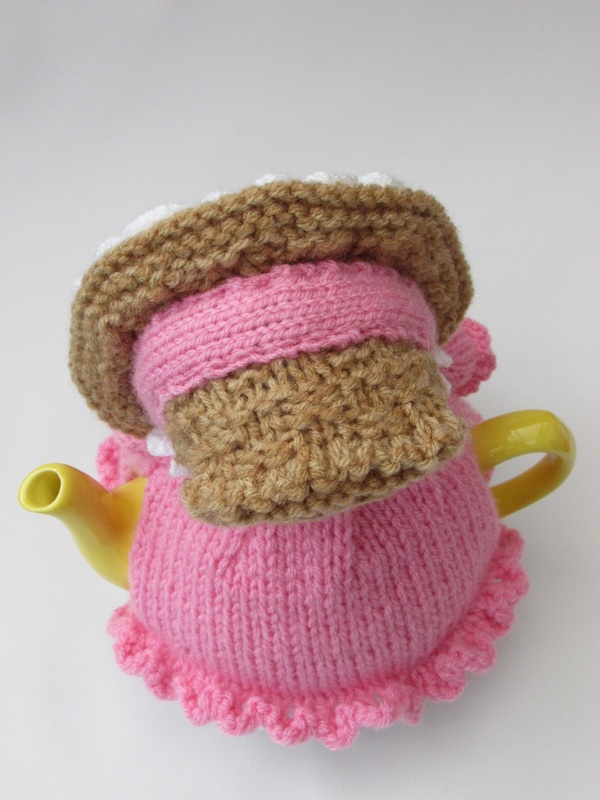 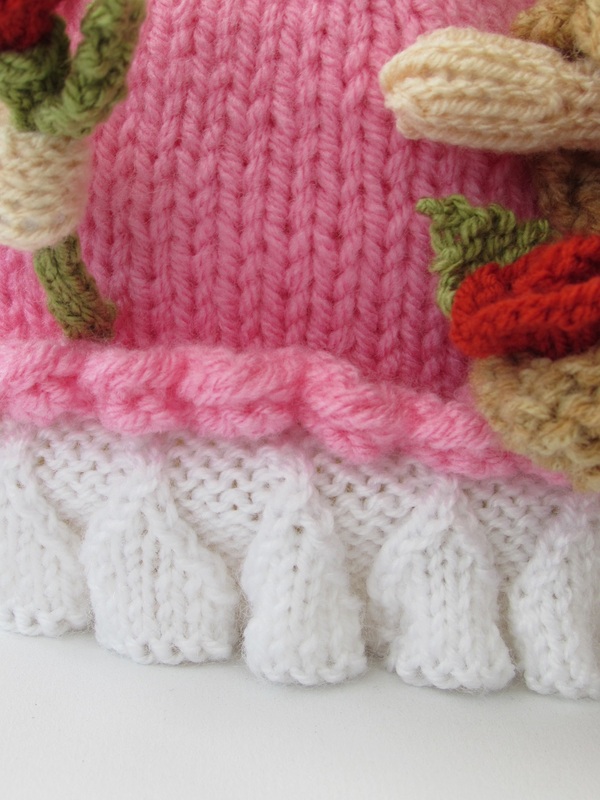 The Victorian Flower Girl tea cosy was designed for the Simply Knitting Magazine, and featured in their 'Your Knits for Autumn' pattern booklet; sold with issue 151 which went on sale on the 9th September 2016. 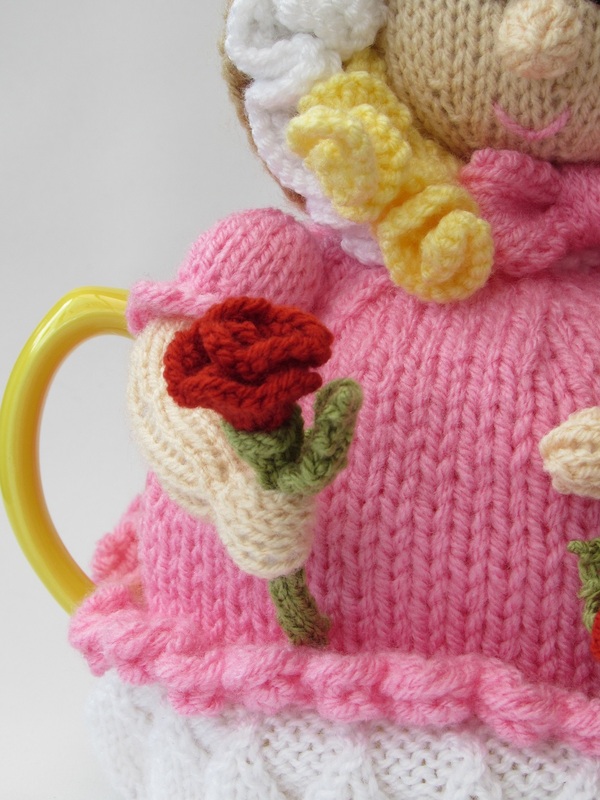 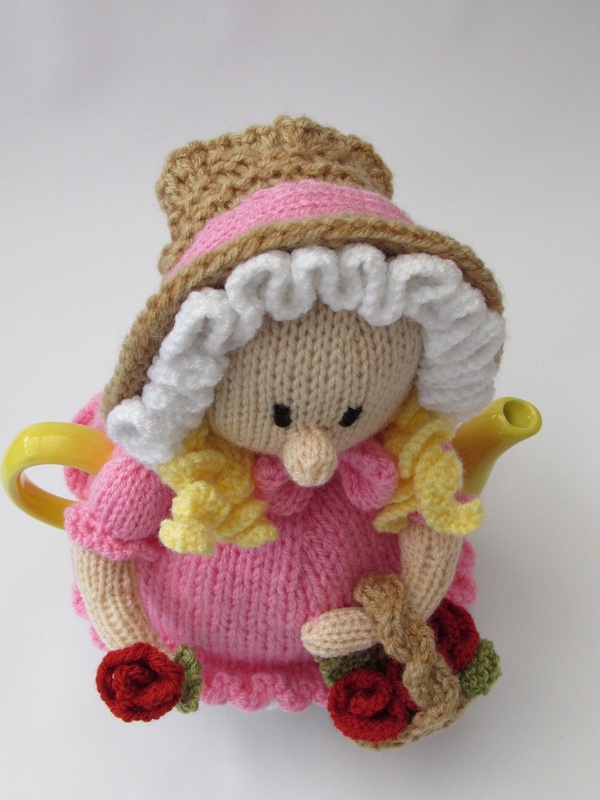 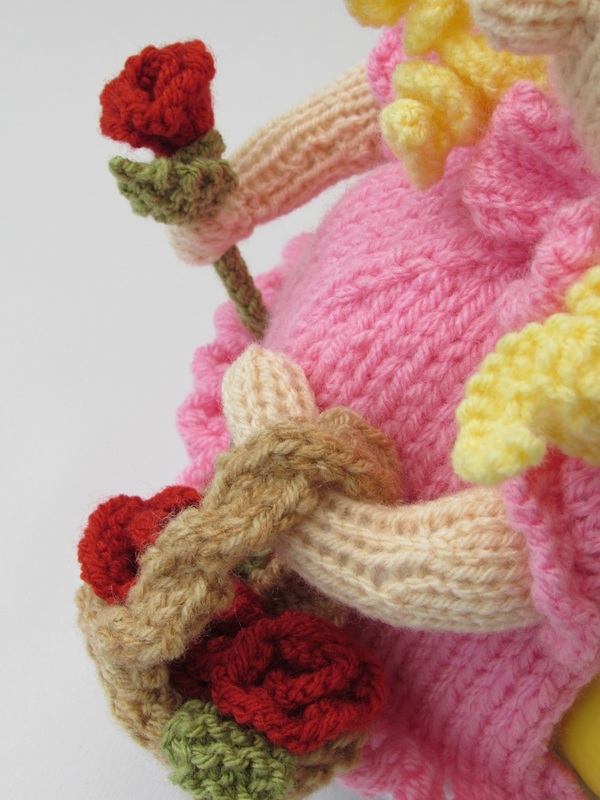 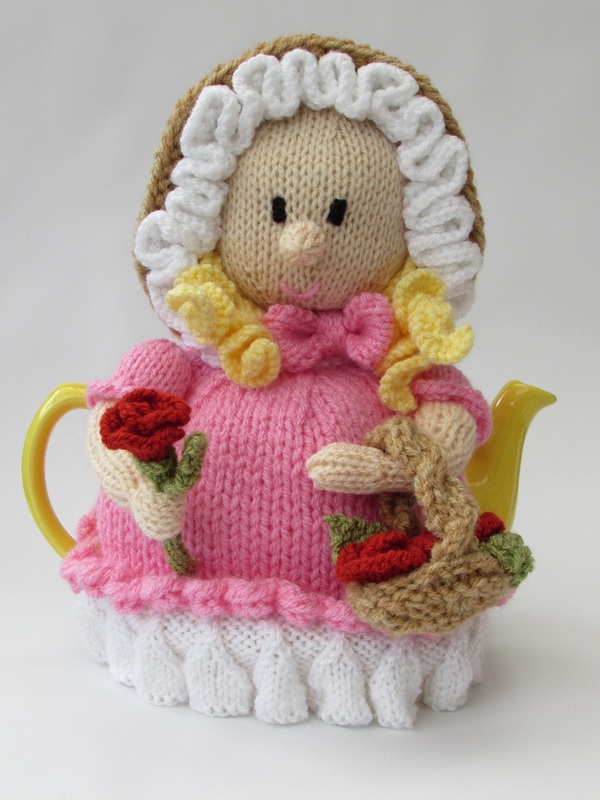 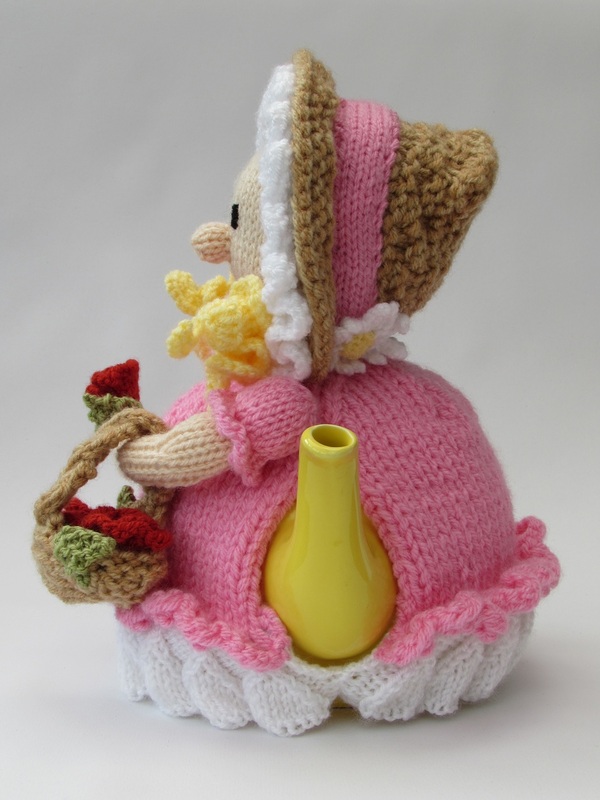 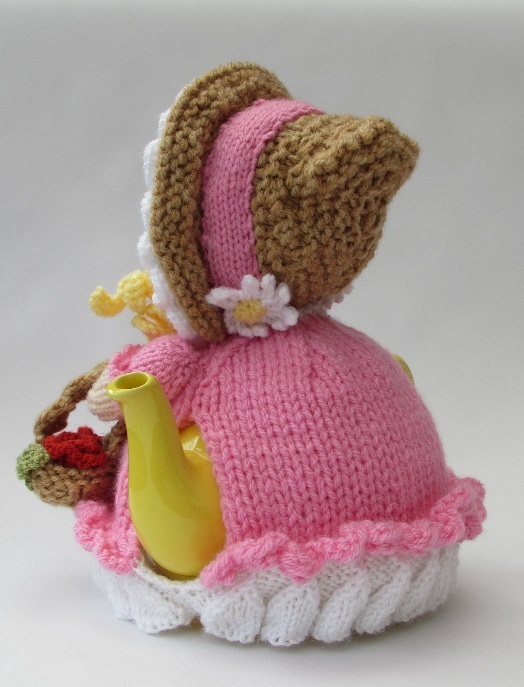 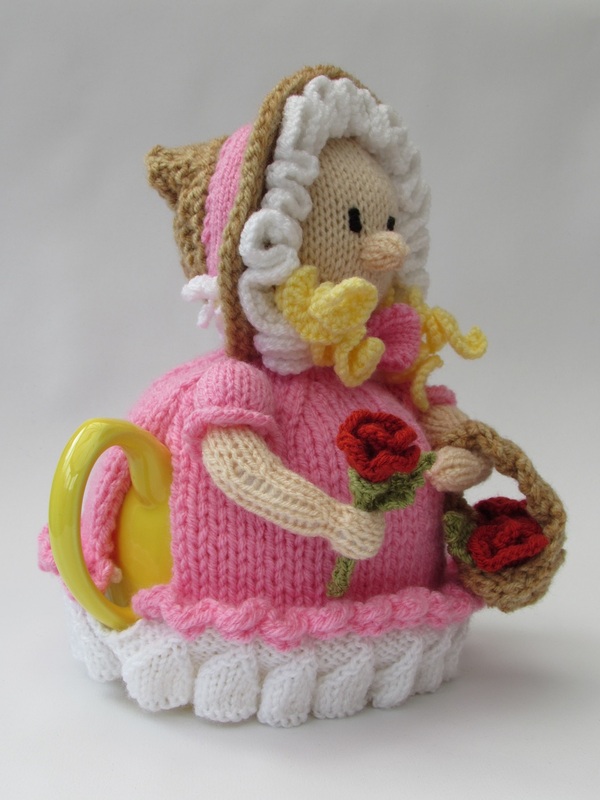 The Victorian Flower Girl tea cosy is a well dress Victorian style girl with a basket of roses. 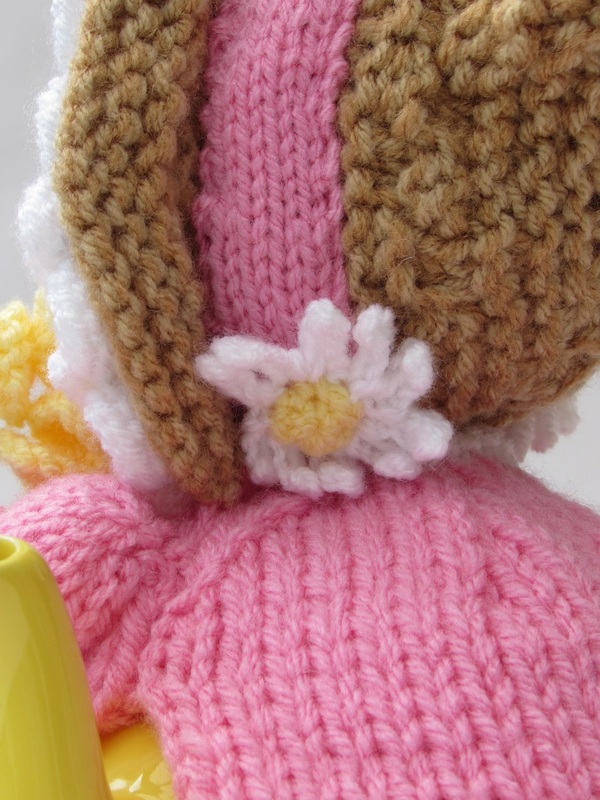 She has ringlets in her hair and is wearing a ruffled lined bonnet that is decorated with daisies. 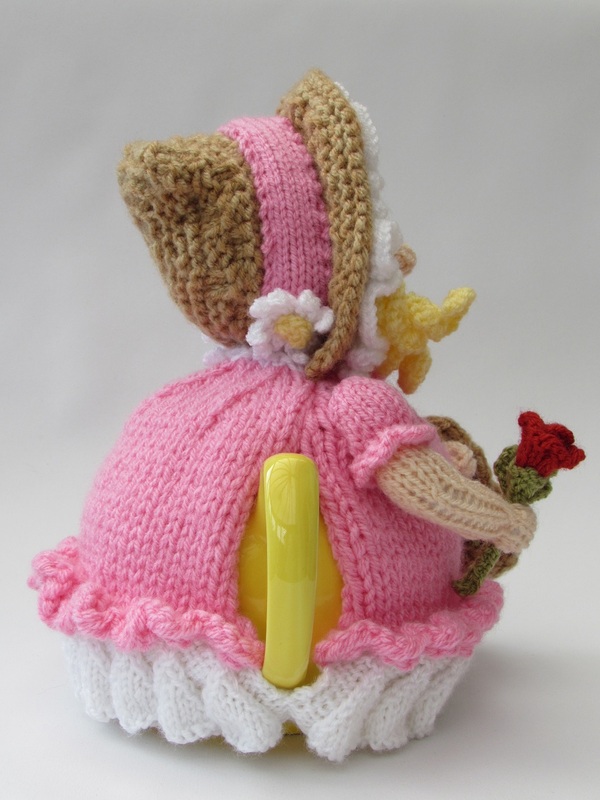 She is a very cute cosy, with billowing petticoats and scalloped edges dress. 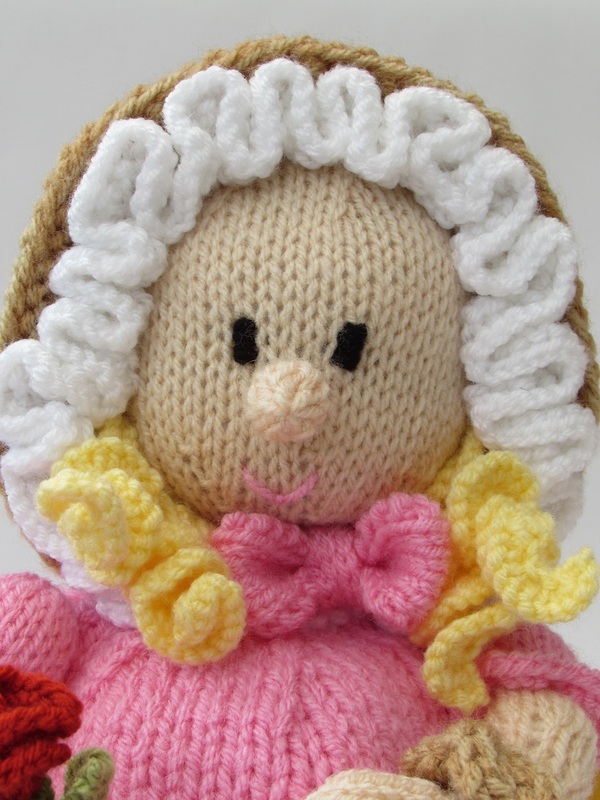 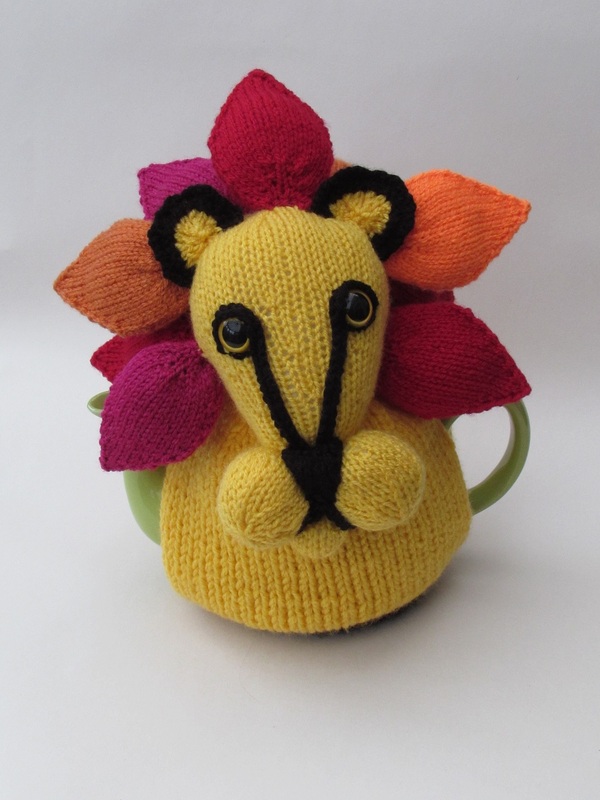 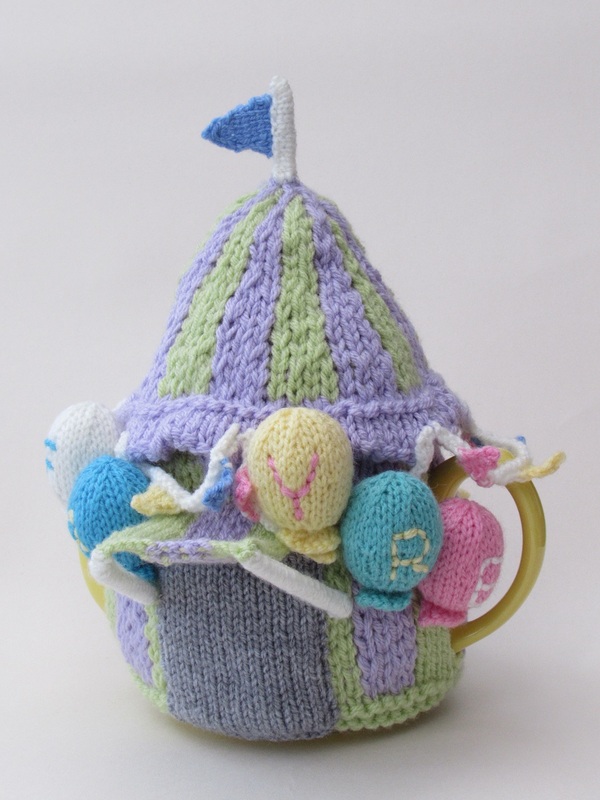 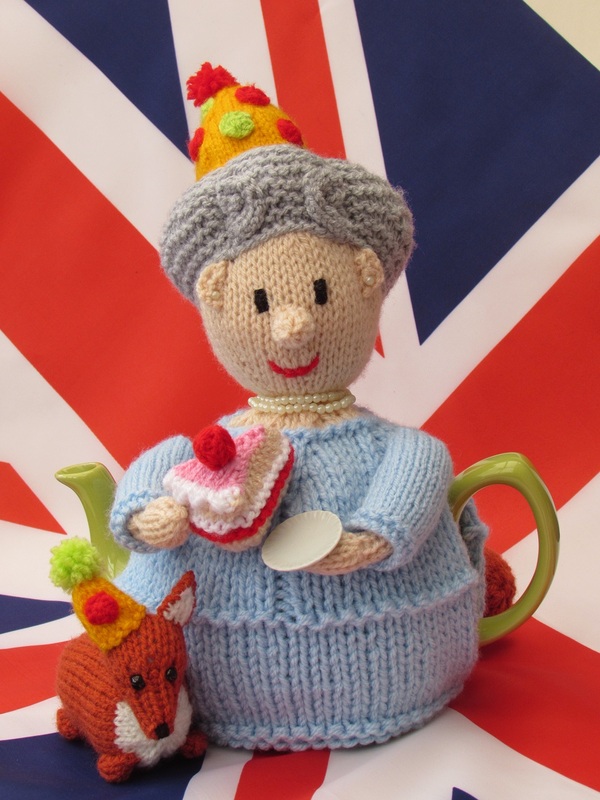 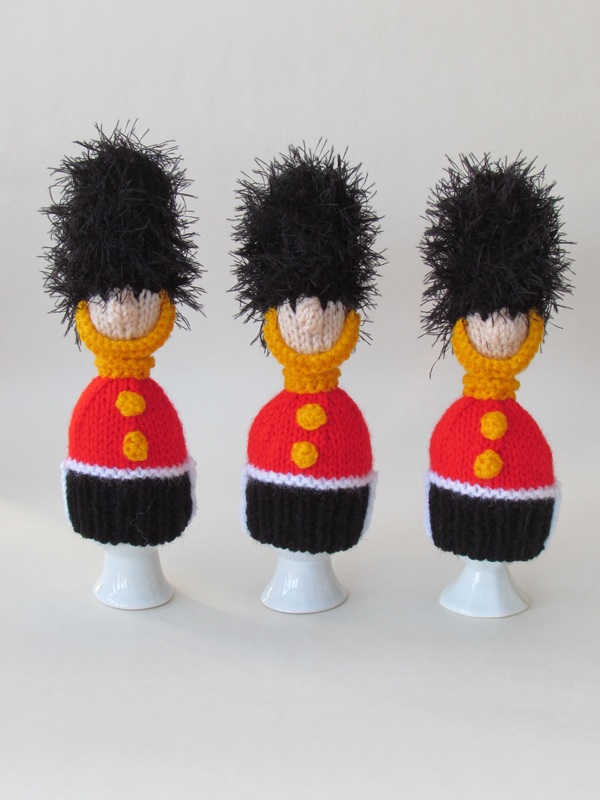 She can be knitted in any colour to suit your mood or home decor. 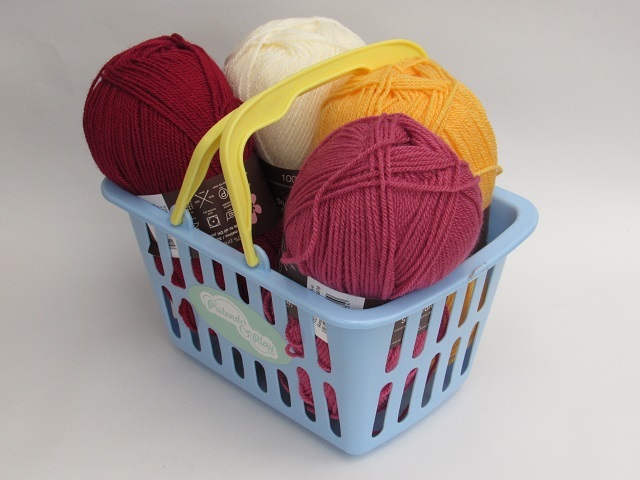 There is a very small amount of cabling on the handle of the basket, but this could be omitted if you preferred.